If you have recently put your house on the market and want it to sell quickly you may need to take a look at a few of these tips on how to eliminate smells so that your house will be more likely to sell. While selling your home quickly may sound good to you, you may not be thinking about exactly how clean your house smells when you have a last minute showing pop up. If you are caught in a bind with a last minute showing and you need to get rid of a few household odors, be sure to read below for some ideas. If you have pets you already know that they have a smell all their own. Pets that may not be house trained yet may be hard to deal with during a house showing. If you need to cover up the smell of pet urine quickly there are several ways to go about it. One way to get rid of pee smell in the carpet is to soak the area with enzyme spray. Another way to get rid of the smell all together (however it may take a bit longer) is to get rid of the carpet once and for all and put in hardwoods. Another way to eliminate smells so that your house might sell is to open up your windows while you are cooking. If you know you have a showing one night, be sure to keep your windows open while you are cooking with the hood fan on as well. Another good way to get rid of the smell of a recently prepared meal in your home is to set a bowl of coffee grounds on the countertop over night (if your showing doesn’t happen to be the same evening of course.) If you don’t want to take any chances of having your dinner linger during the showing you could always just go out to eat for the evening. Garbage smell in a home is some of the worst odor possible. One easy way to get rid of that particular smell is to be sure and take it to the curb before you leave for the showing. These are just a few ways that you can get rid of smells in your home so that your showing might go well and you may be more able to sell your home. Hopefully they will get you started in the right direction. Courtesy of Montgomery AL Realtor Sandra Nickel, Sandra Nickel Hat Team. If you have pets you know all too well just what a mess they can make, what you may not be aware of however is that they have a smell all their own that others who walk into your house may be able to smell more than you can. If you have your house on the market you may need to do your best to eliminate the pet odor before you home starts showing so that you will be better able to sell your home. 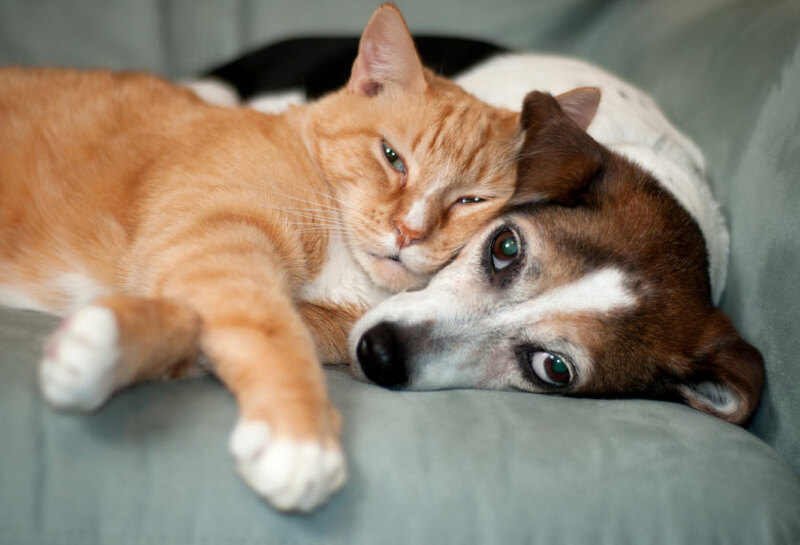 Below are a few ideas and tips to help you get a head start on eliminating pet odor. If your pet has an accident inside of your home douse it with baking soda as quickly as you possibly can after you soak up the urine with a towel. Allow the baking soda to dry and then pat the area with a dry towel. Once you have done all of this, be sure to vacuum the area. The smell that once would have lingered behind after cleaning the soiled area will no longer exist. 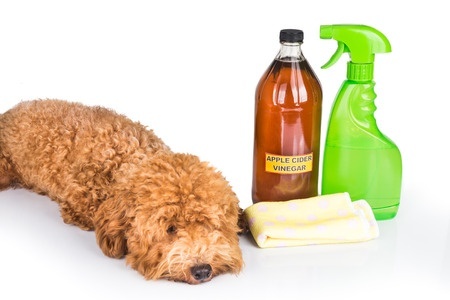 Another great way to rid your home of pet smell so that your home may have a better chance of selling is to make a fabric spray out of white vinegar and baking soda. 1 teaspoon of baking soda mixed with 1 tablespoon of vinegar will do the trick. Put these ingredients together in a spray bottle and you will have a great way to get pet smell out of your furniture and other fabrics. Spraying this concoction over your furniture before a showing is a great way to know that your potential buyers will not be able to smell that you have pets living inside of the house with you. A HEPA air filtration system is also a good thing to have if you have pets and you are planning to try to sell your home. These types of systems cost as little as $100 and can make all the difference when it comes to the sale of your home. One hundred dollars may sound like a lot of money but when you think that it may make or break the sale of your home it is nothing. Be sure to always clean you’re air conditioning filtration system as well so that you will have clean air flowing throughout the house at all times just in case you have someone who wants to take a tour of your home at the last minute. Courtesy of Montgomery AL Real Estate Broker Sandra Nickel, Hat Team. We have all been inside of friends and families homes that have pets and we all know just how smelly pets can make a home no matter how clean you keep your pets. In fact, most homes these days have at least one pet in them. If you are trying to sell your home having a pet may make it harder to do so. Let’s take a look at a few ways pets make things harder on someone who is trying to sell their home. You may have your home staged to the max but if you have a pet inside it is likely that the odor will be noticed by folks who come to take a tour of your home. You may think that if you give your pet a bath daily there will be no odor, think again. Pets have an odor that is all their own and it is easily noticed by the human nose. Cats tend to make the most smell when it comes to having animals inside of your home because they do their business inside, in the litter box. It is important to take litter boxes outside when showing a home so that the smell may be somewhat masked at least. Pets that shed are ones that may cause an issue when someone comes to tour your home because there is absolutely no way you can get rid of all of the hair inside of your home. If you need to have a pet, perhaps opting for one that doesn’t shed such as a poodle is a better option for you. You can run a lint brush over all of your furniture before a showing but as I said there is basically no way to get rid of all of the hair. An air purifier may be a good idea to invest in if you have pets and you are about to start showing your house. These types of machines go a long way to helping take the pet smell out of your home. Don’t worry, if you want to sell your home and you have pets you don’t have to get rid of your pets just be diligent and do your part to make sure those who tour your home have no idea you have animals living inside. Once they finish the tour you can go back to normal life until the next showing and then you will repeat the entire cleaning process over again. Another thing you can do if you have pets and you are trying to sell your home is to look up some tips and ideas online of how to make your home show better and therefore sell faster. Courtesy of Montgomery AL Realtor Sandra Nickel, Hat Team. 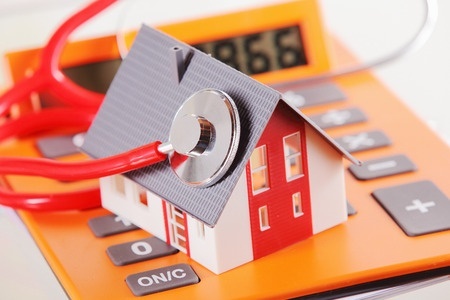 You may think that it might be impossible to sell your home while you and your children are living in it, especially if you have a lot of small children. Selling your home doesn’t have to be a major headache as there are many tips and tricks to get the job done even with the little ones running around making messes everywhere. Let’s take a look at a few tips on how to sell your home despite the "little people". A good idea to get your kids involved in the process of selling your home is to get them to take care of any clutter they may see around the house. It doesn’t necessarily have to be clutter they created, just any kind of mess that may be lying around will do. Kids love to feel helpful and what better way to help them feel helpful than to get them to help. If you have older kids you can perhaps motivate them with a bit of cash to get the job done correctly. You and your kids need to make a plan for when someone comes to tour your home so that you can all get out of the house together and have something fun to do. When you have a last minute showing you and your children will easily remember that plan and head out together to wherever you have already decided upon. A good place to go if it is summertime or springtime is the local park; if it’s cold the library might be a good option. Have your children be in charge of packing their own rooms away for the future move. 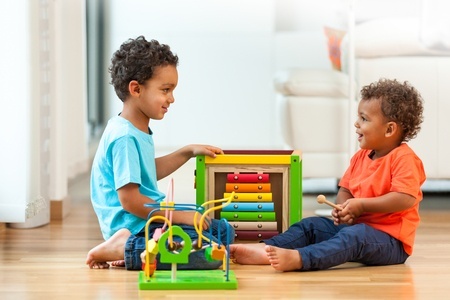 They can easily pick through their toys and pick out the ones they don’t play with as often and go ahead and pack them away in boxes. This is also cool to do because once you finally make the big move it will feel like Christmas to them when they open the boxes filled with toys they had forgotten they had. Whatever you do, try to make the packing and moving as low key as you possibly can, for your sake as well as your children’s. Kids can sense when you are upset or stressed about something and then they can upset and stressed. Do your part to make the transition of selling your home as smooth as possible. Below are a few home improvements that will help sell your home this spring. A fresh coat of paint inside your home is a great way to improve the way your home looks and get it ready to put on the market. Try to keep a neutral theme if you can when painting because you want others to be able to see themselves living in your home and not the other way around. You will likely be amazed at just how much difference a fresh coat of paint will make to your home. Panting your front door a color that pops is a great way to get awesome curb appeal. Many folks will love your home simply because it has a red door and it stands out above all the others in the neighborhood. Use a pop of color on your front door to your advantage when trying to sell your home! Pressure washing your home is a great way to make it shine if your home is vinyl siding. You may have lived in your house so long that you forgot what color your siding actually is until you pressure wash it. This is another way to have great curb appeal when you put your house on the market. If your house has columns at the front it may be a good time to replace them or at least give them a fresh coat of paint. Over the years columns tend to expand and crack and make the house look older than it actually is. Give your home a facelift by taking care of issues like these before you put it on the market. Refinishing your hardwoods is another way to make your home look its best. You can do this yourself or you may want to choose to hire someone to do it for you. Either way, refinishing your hardwoods is a great home improvement idea! Selling your home is no easy task and this is especially true if you try to do it without the help of a Realtor. Realtors are trained to be able to assist you in the purchase of your dream home and it is always a good idea to use them when you are ready to sell your home as well. Many times folks put their house on the market thinking they can sell it “for sale by owner” but once they do this they soon realize they have bitten off more than they can chew! 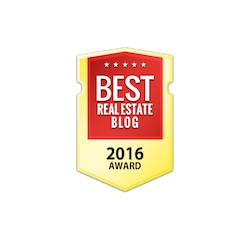 In this blog post we are going to talk about why it is important to hire a Realtor to sell your home for you. Selling your home with a Realtor helping you takes a lot of the pressure off of you. You won’t have to deal with all of the necessary paperwork and will be able to pay closer attention to the little details of the sale. If you choose to let a Realtor help you sell your home you will be able to do things such as de-clutter your home before you start showing it. You may also have time to do some much needed renovations that may help you get more money for your house than if you left the renovations undone. Your Realtor will be able to get your house onto the internet where it will be opened up to a large market of people. Your Realtor will also be able to list your home in real estate magazines that are easily accessible to a large number of people. Many times Realtors will be able upload an online tour of your home. This is a great way to get your home in front of many prospective buyers. By hiring a Realtor to help sell your home he or she will be able to negotiate with the potential buyers better than you may be able to do yourself. Sure you have to pay the Realtor for his or her services but in the long run it is more than worth it. If you get a good Realtor he or she will do whatever they can to sell your home and to get the amount of money you need out of the sale. Be sure to do your homework before hiring a realtor to sell your home. You need to choose someone that matches your personality and someone that you can get along well with. If you decide to hire a Realtor to sell your home, you will likely be very glad you did! Now is a perfect time to de-clutter your home if you are planning on putting it on the market this spring. Getting rid of unwanted or unnecessary items will be a great help to you when you begin having your house shown. Here are 4 savvy hacks to de-cluttering your home. A great way to get rid of things in your home that you no longer use or want is to invite your friends and family over to look through it. Your sister for instance may have had her eye on your collection of vases for a very long time and by letting her have them you may be creating a stronger bond with her all the while cleaning your house of items you no longer need. Having a yard sale to de-clutter your home is always a good idea especially when it starts getting warm outside. Folks love to attend yard sales and many folks attend them on a regular basis. One suggestion, if you decide to de-clutter via yard sale,do not put prices on your items. Putting prices on your yard sale items is basically a waste of time. You can easily talk about a reasonable price with a customer once they have shown interest in an item. If you have the items priced many times the potential customer will not even let you know they are interested in purchasing the item because they think you have it priced too high. Donating your household items to charity is a great way to not only get a tax benefit but to help people in need. If you want to go a step further in this process you can ask if you can hand out items for free to those who come in for help. You may be surprised at just how good it feels to help those less fortunate than yourself. If you have some time on your hands and you don’t have to worry about getting your house on the market quickly, you can always sell your items on EBay. You may get more money this way but it can take a bit longer than the other ideas. Hopefully this list of savvy tips for getting rid of your unwanted household items will help you on your way to a more streamlined home. Again, whether you are planning to stay in your home for a few more years or you are planning to put it on the market, cleaning things out is always a great feeling! If you are debating whether to sell your house for sale this fall or even early next year, there are many reasons not to wait! We have a FREE Fall Sellers Guide, Things to Consider When Selling Your Home, that gives you 5 reasons to sell this fall. Things like the importance of pricing right from the beginning, how an increase in interest rates will impact home sales, and so much more! No obligation, of course! 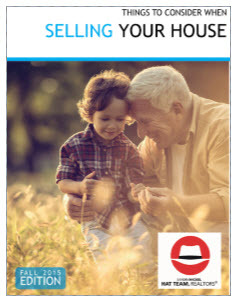 Download your FREE Sellers Guide then contact us get started with your home sale. Get an instant market valuation of your Montgomery home!